A third example is how Israel has benefited time and time again from the presence of UN peacekeeping forces on the other side of its border – in Gaza, Sinai, Lebanon and Syria – while at the same time consistently refusing to accept the stationing of UN forces in Israel. If we turn the clock back 70 years, to Israel’s infancy, we see that this ambivalent relationship has existed from the start. Although it was the 1947 UN Partition Plan that legitimized Israel’s existence, and the country wanted to become a member of the newly established global organization as early as 1948, it was clear that membership either had to be on Israel’s terms or not at all. Israel was opposing the UN’s wishes even before it became a member state. One of the debates that was current in the UN at that time was whether the UN should be a global organization for “peace-loving” nations only, or whether it should be an organization for all nations worldwide. Several key UN members argued in favour of the former view and demanded that Israel must prove it was “peace-loving”. What should happen about Jerusalem? What should happen about the Palestinian refugees? Where should the borders be drawn? In 1948–49, the UN and Israel were at odds on all three issues, and these three questions are still at the heart of the conflict. The UN wanted Jerusalem to be an international city, while Israel demanded West Jerusalem. The UN insisted that all Palestinian refugees should have a right of return, while Israel worked to prevent their return entirely. The UN insisted that the borders must be based on its Partition Plan, while Israel demanded the right to retain territory it had conquered. As a starting point, it was difficult for Israel to claim that it was “peace-loving”, since it was at war with its neighbours even during the application process. 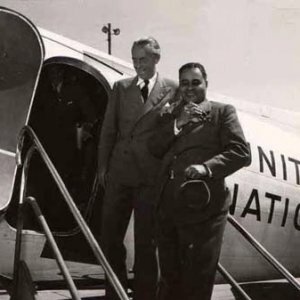 This claim became even more difficult in March 1949, when Israel and Jordan started armistice negotiations, which were headed by the UN mediator Ralph Bunche. Hostilities had ended at the time the negotiations started, but Israel took two aggressive steps while they were ongoing. First, Israel captured the southern Negev desert down to Eilat. Second, Israel then threatened Jordan with a new attack on the West Bank unless Jordan ceded Israel an area of approximately 300 square metres. A shocked Bunche described this demand as “blackmail”. These aggressive actions did not change the outcome of the membership application process. Just over a month after signing the ceasefire agreement with Jordan, Israel was granted admittance to the club of peace-loving nations. Things turned out as Ben-Gurion had wanted – Israel would become an UN member state only if membership didn’t cost anything. 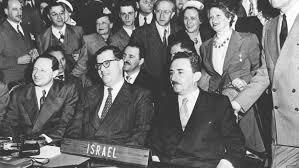 When Israel became the UN’s 59th member state in May 1949, it had not accepted any of the UN’s demands. Jerusalem was still a divided city; the Palestinian refugees had not been allowed to return; and Israel had continued to capture territory while the membership negotiations were continuing. The UN negotiators, who were working to put a peace agreement in place between the parties after the war, felt as though the rug had been pulled out from under them. Once Israel had secured UN membership, the negotiators no longer had any means of applying pressure. Israel then ended the peace negotiations because it was now assured its place among the world’s nations. This brings us to a fascinating modern parallel. While in 1948–49 Israel insisted that UN membership had to come before peace with the Arab states, today Israel is insisting that Palestine can become a UN member state only after it signs a peace treaty with Israel. The Americans supported Israel’s argument for membership before peace in 1949, and today they are supporting Israel’s argument for peace before membership. Since UN membership can only be achieved with the support of the Security Council – where the United States has a veto – Israel knows that Palestine cannot become a member without a green light from Israel. And Israel has no intention of giving one.